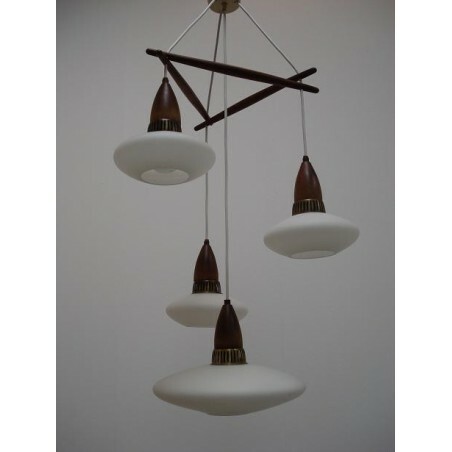 Hanging lamp from the sixties with glass. 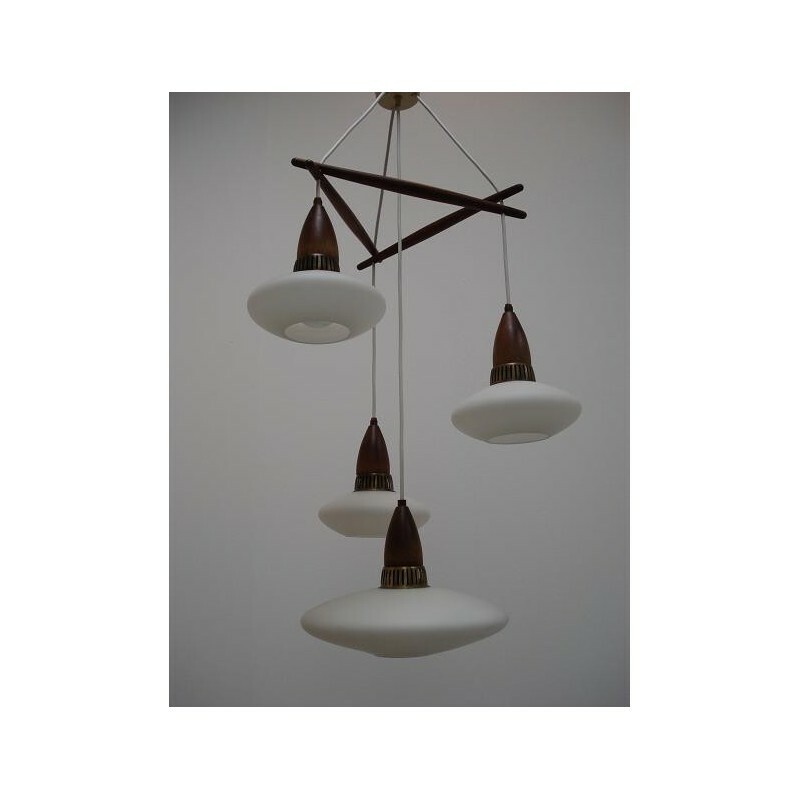 This type of lamp frequently comes from the Scandinavian countries and has beautiful wooden details. The lamp finds oneself in a good state. Altitude is adjustable (now 90cm) the wide is 40 cm.